Engineers involved in developing devices using satellite technology face a constant challenge: verifying that their products are operating as intended in all conditions and locations. For Road Angel, the market leader in GPS safety camera and black spot locators based in Silverstone, UK, it is vital that their products work 100% of the time – or risk complaints from customers who claim that their device failed to warn them of speed cameras. 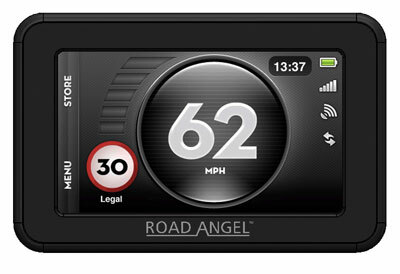 Previously, Road Angel's technicians had to individually test units by driving past known speed camera locations and identifying the units which failed to activate, indicating a malfunction in the GPS system. Because this method required a vehicle and driver, it was time consuming, expensive, and only provided subjective reporting of errors. What if there was a way to test devices in live sky conditions, without having to manually test them in the field? This was an ability claimed by Racelogic, designers of LabSat - the first device capable of recording GNSS signals and replaying them into a product under test. To see if it lived up to the claims, Road Angel borrowed a LabSat for two weeks. Richard Meechan, Road Angel's Development Director, went out and recorded a live route with LabSat, incorporating several speed camera types and locations. He could then replay the recording into the systems under test as many times as necessary. Meechan explained: "We had LabSat running 24/7 in our lab for over two weeks, replaying a thirty minute test drive into twenty test units at a time." He continued: "Each block of units had a different version of firmware installed. LabSat was used to evaluate how well each version detected the various speed camera systems recorded, including new types of cameras introduced since the original firmware was released." So did it work? Meechan said: "During the two week loan period, the LabSat saved us over six thousand hours of testing of our new Vantage GPRS connected speed camera locator. We can now bring products and features to market far sooner than before, backed up with the confidence of objective test results, whilst hardly needing to leave the office!" Satisfied with the results, Road Angel has now purchased a Replay only LabSat system, and a copy of Racelogic's GPS simulation software, SatGen. Simulating a scenario with the SatGen software means that Road Angel can test the operation of their devices anywhere in the world. They have found it ideal in instances where customers claim that their product failed to indicate a camera, or where the device indicated a camera where there was none. Testing engineers can use SatGen in conjunction with Google Earth to recreate a test drive past the area where the device was claimed to malfunction, to see what went wrong and repair it.